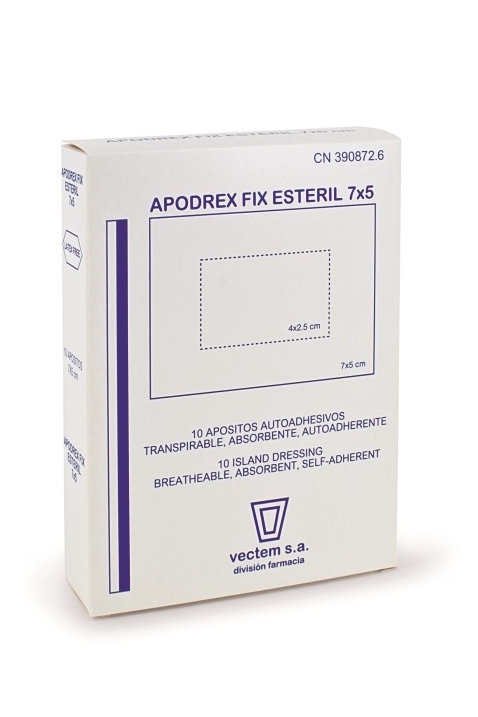 APODREX FIX STERILE 7X5 , vectem s.a.
"APODREX FIX STERILE 7X5 Individually packages, single-use sterile dressings. Indicated as a protective wound dressing for areas of the skin that are difficult to bandage. Packaging: packs of 10 and 100 units."